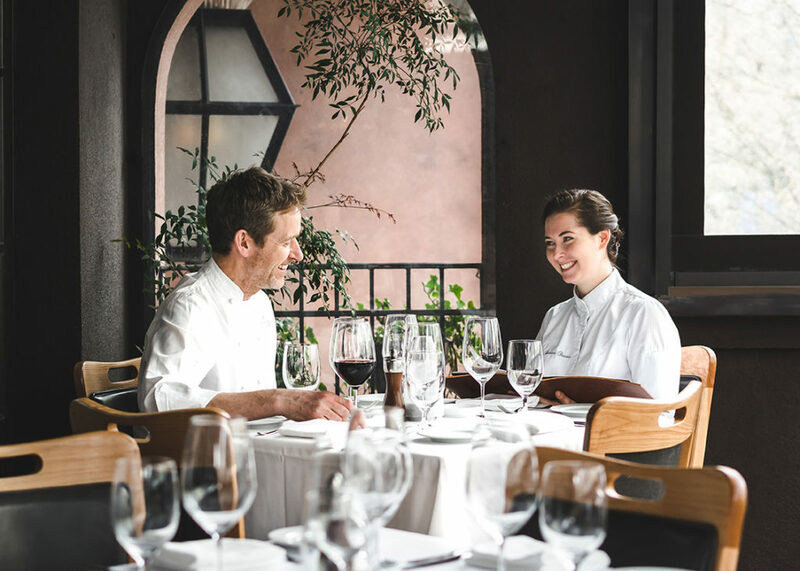 Vancouver, BC (May 9th, 2018) – There is exciting news afoot for CinCin Ristorante + Bar’s kitchen as Executive Chef Andrew Richardson welcomes Catherine Stewart to the brigade as Chef de Cuisine. Chef Stewart brings a remarkable culinary resume to CinCin, cooking with many of Europe’s outstanding and iconic personalities. Catherine’s appointment brings her home to the west coast for the next chapter of her extraordinary career. A graduate of Vancouver’s Pacific Institute of the Culinary Arts, Catherine began her craft professionally at West Vancouver’s La Regalade in 2006. After three years, and upon the recommendation of its proprietor, Chef Alain Raye, she moved to Vienne, France, and worked as Demi-Chef de Partie at the famous two Michelin starred La Pyramide. She moved to London in 2008 to work as Senior Chef de Partie at La Cuisine de Joel Robuchon, also two Michelin starred. The next two years saw Catherine work as a private chef to an international celebrity. Based in London, she also worked in the principal’s other homes around the world and performed frequent stages at the two Michelin starred restaurant, L’Espadon at Hotel le Ritz, Paris. In 2012, Chef Stewart formed her own Patisserie d’Autrefois in La Brede, France while also consulting to El Gastor at Finca la Donaira in Cadiz, Spain. For the past five years, and after being recommended by Joel Robuchon, Catherine was appointed Executive Chef at Chateau La Lagune in the Ludon Medoc area of Bordeaux, France. Her responsibilities were considerable, covering everything from large scale events for more than 200 guests, to intimate wine dinners for the chateau’s principals and their clients and friends. Catherine can be found working the fires of CinCin’s Infierno Grill and tempting diners with her wood-fired specialties. In collaboration with Chef Andrew, watch for Catherine’s menu offerings that marry the best of classical cooking with inspired-Mediterranean cuisine.